My dear people of the world, I AM here on this Christmas Eve day to wish you all the merriest of Christmases and the happiest of New Years to come. I AM St. Germain and I come to you at this time to tell you of an event that is going to carry forth through your holidays and render them into the New Year in a beautiful fashion. You will be in celebration of one kind or another throughout the coming year, for the times may be full of trial and tribulations from time to time. The result of this will be in events that will be rejoicing, events that will be glad tidings, for it will be a release of all the tyranny. It will be the truth, come forward at long last; and when this happens there will be a shower of fireworks rain down upon all of you containing the truth. The tears that will manifest from all of this truth will be wiped away with a rainbow of colors so gentle, so soft so as to render the troubles nonexistent. This is up to you my dear ones this is a time when you gather yourselves to your families and friends and you celebrate the spirit of giving, and the spirit of togetherness, and the spirit of bounty. When you carry this feeling of rejoicing with you over the holiday weekends through the new year celebration, do not set it down, but keep it close to your bosom, and know that this is your way of being, for it is. No wonder you bring this energy of love and sharing into your holiday festivities. What is the holiday you are celebrating? It is the birth of the Christ child. What you do at this time of year represents all that the Christed energy and childlike innocence means, all it represents, the giving and the sharing of love and the bounty that you know you are. 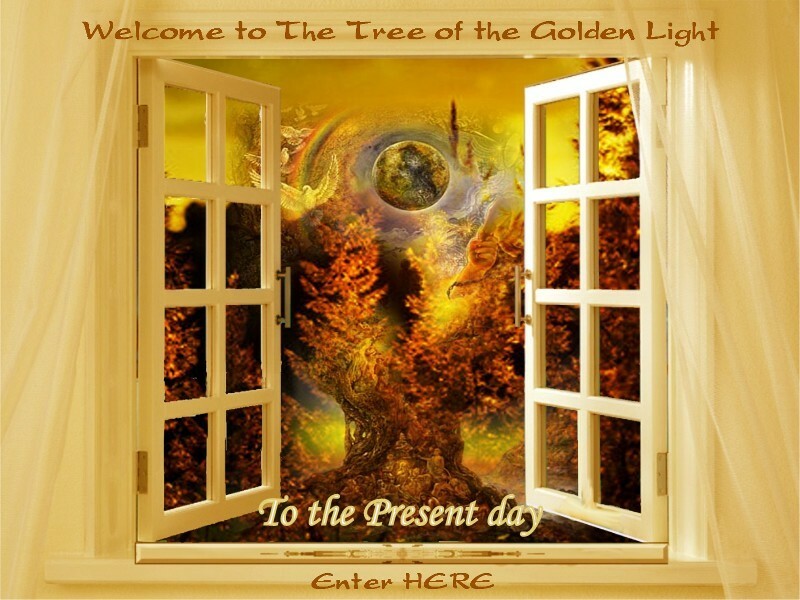 Bring this celebration throughout all of your time and throughout all of the year; make every moment a celebration of who you are for the Christed energy is represented in all of you in your trueness. I stand here today and I observe all that is taking place, and I see the places around the world where the bounty and the loving and the forgiveness do not seem to be prevalent. However I look a little closer and I see the tears, and I see the reverence, and I see the outstretched hand clasped in another. And I see those troubled places around the world. Though they seem to be without heart and without soul, look a little closer and that is all you see. You see it in the fortitude with which those dear ones lift their heads and lift their hearts in rejoicing that they are still able to. You see it in the tender look and the tender touch between one and another. You see it in the torment in the eyes of some, and the tear that rolls down the cheek, and the outstretched hand that wants to grasp the other and dares not. You see it in the hesitant step that one takes away from another, and then back toward another. You see it in the grimace as one pulls the trigger. And you see it in the look in their eyes of the self-hate for having done that. And you send them your love for you know that they know not what they do for they have chosen, as so many have, to be asleep at this time. You know the grand plan means so much more than what is seen on those battlefields. So my dear ones as you gather round your fires in your living rooms with your loved ones with a glorious feast laid out for you know that you are holding an energy for those ones across the world. Know that you are keeping strong what they believe in, their values that do not show representation on the battlefields. Know that you keep the sanity for them. Know that you hold a flame of truth and honor for them. Know that you are in your exact perfect place as they are. Know that nothing that you do to celebrate in any way takes away from what they do to fight for what they believe in, even though they don't know what they do. They do know on some level. And so when you start to feel a pang of guilt for all that you have around you, love it away. Be thankful for what you have, be thankful for what you do, and know that what you do extends to those souls across the world, and holds the flame of love and hope high for them. For without you being where you are and doing what you are doing they would lose that connection and they would surely perish. So hold it strong my dear ones; revel in the streets, hold each other, enjoy your feast, and hold those ones across the world in your hearts in love and joy, for they do this not just for the cause that they feel they're doing it for, but they do it for all of us. They do it for all of existence. And when they arrive home in the arms of God they know why they have done it. They are embraced so beautifully by all of Creation, and they know the perfection in which their last moments on earth were played. So my dear ones worry not that you have more than they do for you have what they need, and you hold it in your hearts and your soul and you share it with them in your celebration. I celebrate with you and I hold my flame high, my flame of violet and gold and pink, so that they may see in their dreamtime that they are not forgotten. They are carried forth in our hearts and strengthened in their purpose. 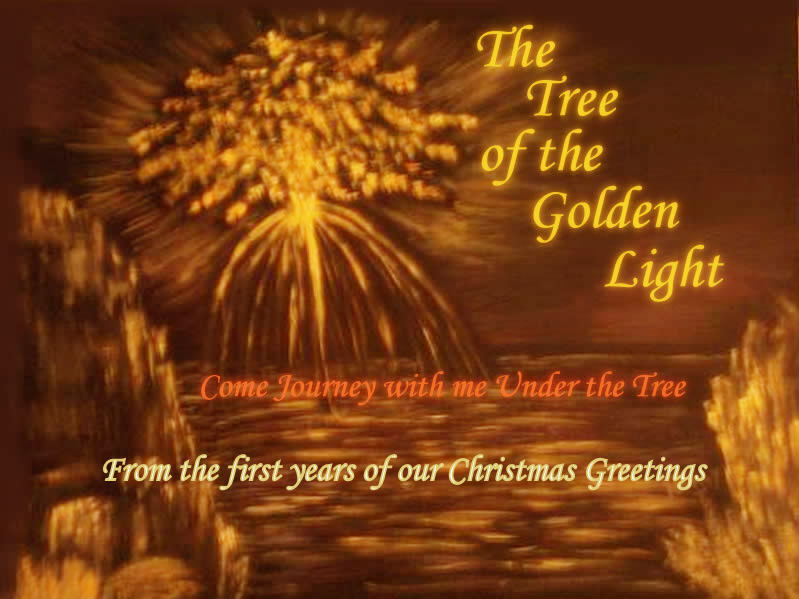 And now Sananda is here and he would like to share with you this message of Christmas joy. My dear ones, I’m reminded today of the story that has been swinging through the universe for many, many centuries and eons. It’s a very simple story and one has a happy ending as all stories do, though you may not realize that. This story is about two space ships and one planet. These space ships both set themselves a course for this planet. One came from a far distant universe; the other came from this home universe of the planet. The visitor from afar thought to come to this planet and take it over, to make it its new home, for the people within this spaceship were full of adventure full of daring. The spaceship from the home universe wanted to defend this planet for it was their own, and they were not used to sharing, much less been taken over. So they stood in retaliation against this one came from far away. All of the people, all of the crew on this spaceship, for they indeed were all one family with the ship, stood their ground, and they awaited the arrival of this other visitor. As the visitor ship came into view all on the other one were at their command posts, at their positions ready to defend their own. As the visitor drew closer and closer there was an awareness that came over all. and that awareness was a familiarity; it could not be denied. In this familiarity lived a sense of purpose and before they knew it those in the home ship began to feel a pulling toward the other one, not from the mind, from the heart. They began to feel a welcoming energy that reached out to the other and pulled them in. No longer was there a defensive attitude, but a feeling of home, a feeling of love and welcome. So they sent out an emissary, and they asked this visitor, please come, we have a table set for you in welcome. We wish to commune with you and share with you what your purpose is, for we feel a oneness with you. We are curious as to this connection. Upon the emissary’s return came the word, I Am That I Am and we are one. The home ship knew not exactly what that meant, but they were compelled to welcome this ship. So they sent the emissary back and they said, we shall land our craft on this planet and we ask you please to join us, that we may embrace each other and communicate with each other, and get to know one another in a different way. The emissary returned with the graceful and grateful acceptance of this grand invitation. And so the ship landed and awaited the other. Soon the other set down in its place. The surroundings were beautiful it was a veritable Garden of Eden. And as the families alighted from their ships and started toward each other their eyes could not perceive exactly what they were seeing, until they came closer and closer, and they realized they looked into the eyes of themselves. They had closed a gap of time, and they had met themselves in the future; and they had realized what they have become. The others had realized what they had been, and who they had been for each other. They stood arms length from each other not daring to reach out and touch the tips of their fingers together. There was an energy barrier in between brought about by their fear. What should happen if I reach out and touch the other one, shall I disappear? Shall I be annihilated by my own energy of the future; shall I cease to exist? However the visitor from far away knew, knew that all they need do is reach out and touch and they would never, ever cease to be; but they would be forever. So they reached out and they crossed the impenetrable barrier, and nothing happened. no one disappeared, everyone remained. And in the next instant they were embracing. The fear was gone you see, for the recognition of who they were was so strong and so sure and so loving there was no arena in which the fear could live. This story explains some of your history that you have not heard about as yet, but you will. I'm speaking of a part of your history that will soon come out and be recognized by all of you. There are so many dimensions of time and so many realities, so many parallels, and you are bringing them all together. You are in the first stages of realizing the oneness of all of it. It does not mean that all those realities and all of those dimensions will disappear. They will always exist, always. What has been created cannot be uncreated. What the difference is, is that all will have the potential and the capability for the memory of all of it. It is a choice, and those who choose to remain in the choice realm will remember who they are, or not. On a level that they may not choose to recognize beyond that instant of recognition they will have incorporated all of that, all that exists, all dimensions, all parallels into themselves. So the potential will always be there for them to remember, all of it and to express in the deepest of the dimensions. All is perfect, all is in celebration, all is in perfection of the masses. The Creator Source of All is expressing and watching, observing, experiencing your expression. And on this holiday All That Is expresses the happiest, the merriest, the jolliest, the most beautiful the most perfect holiday time for all of you. The Christ Child lying in the manger looks up at the star from which he came, and he gives a wink, for he knows all that was before and all that is to come. I leave you now for I have someone tapping on my shoulder who would like to express a holiday wish for you. May I introduce my brother Lord Enki. My dear family of man, I’m Lord Enki, and I just would like to express to you my heartfelt desire to remain in the arms of each and everyone of you through this holiday season. This means so much to me, so much more than you can imagine at this time. But you will, you will, for you will realize one day that you can feel and read my heart completely. My soul cries out to you in loving jubilation to see the beauty that you bring forth with every breath you take. I once walked in the darkest of shadows. My dear ones, I did that because of my love for mankind and for God The Creator. We all have a purpose; we all have a mission, and I had mine. I now stand in the fullness of the light of the Creator. I have put all that darkness behind me, and now I walk among those in my homeland on earth to usher them back to the light, to embrace them, to assure them that they are on their perfect mission, and their path leads surely and steadily home. I have wiped many a tear from a face; I have stopped and quelled the bleeding. I have whispered in the ears of so many. I’ve touched the heart of some. My brother Enlil and I walk together in this part of our mission ever grateful to be able to bring this darkness to a close and to ring through eternity the forgiveness of all and the leading into the light of all with us. Enlil has a word for you he’s asked me to express that though he wavered and he faltered many times throughout this long history, he never lost sight of family. Family was the tie that binds; family is the tie that binds and keeps us all together, for we are the family of All That Is. As he stands by my side and wipes the tears and, the blood away from our family, we know that the sun is about to break free on the horizon and flood the healing energy over the whole globe and bring peace to the planet at last, peace that will never, ever go away again. So I stand here in tribute to all of you with my Brothers and my sisters and the angels, the Masters, all of Creation, and I light the candle on the top of the tree. And we sing a chorus of hallelujah as we leave this message, and we shower our love down around you all. Glory Hallelujah the Christ is born. Peace shall reign throughout the land forever, and ever.